Rep Paul Ryan proposes $6 Trillion cut to budget. Significant changes in Medicare & Medicaid. The Republican budget proposal will eliminate the national debt while still preserving costly entitlement programs like Medicare and Social Security, Wisconsin Rep. Paul Ryan told CNBC. Representative Ryan, chairman of the House Budget Committee speaking shortly before the spending plan gets its formal introduction in Congress, later today said the debt will peak at 74.5 percent of gross domestic product in 2014 and then drop from there. Among the key tenets in a budget resolution to be presented are fundamental changes to the way Medicare and Medicaid are financed. The resolution does not address Social Security, though Ryan said he expects a bipartisan agreement on that issue later this year. The budget plan includes proposed legislation that Ryan has said will slash $4 trillion from federal spending over the next decade. On Fox News Sunday Representative Ryan discussed a controversial overhaul of Medicare, the health care program for seniors, and that the propsed budget would force deep cuts in Medicaid, which provides health benefits to low-income Americans. Beginning in 2021, elderly Americans would receive government assistance in paying health insurance premiums instead of enrolling in the government-run Medicare program, Ryan said. He rejected the label of "vouchers" for the payments, calling them "premium assistance" payments instead. The plan is similar to the one he created last year with Alice Rivlin, budget director under President Bill Clinton. The Ryan-Rivlin plan said the amount of assistance would be calculated in part by taking the average federal cost per Medicare enrollee. End the authority for Wall Street Bailouts. Reduce federal spending for the deficit to less than 20% of GDP. Concussions such a problem in football that Madden game has changed rules. Concussions in football games are taken more seriously than ever before. Examples of danger posed by head first hitting and concussions have been mounting over the past few years with at least one player losing a significant amount of their memory even in his 40s, multiple suicides and cases of depression and brain injuries. The NFL has recently made rule changes seeking to protect players. The problems with concussions Chronic Traumatic Encephalopathy have reached such recognition and importance that now there are even no rules to protect NFL players in the next edition of the "Madden" football video game franchise when concussed players won't be allowed to return to the field in the game they are injured. Moore says "we have an obligation in our industry" to recognize that brain injuries are one of the biggest on-field problems facing football at all levels right now. The game's executive producer, Phil Frazier, told The Times that "Madden NFL 12", with its new concussion rules and the exclusion of helmet-to-helmet hits and headfirst tackling can be a "teaching tool" to players of the game, particularly kids. Gus Johnson and Cris Collinsworth, the announcers featured in the game, also will explain the dangerous nature of concussions when they announce that a player can't return to the game. Madden agrees with the game's new emphasis on proper tackling techniques and the seriousness of concussions, telling The Times "if we show players playing through [concussions], then kids won't understand." "There was a time when someone would get a concussion and you'd say he just got dinged, take some smelling salts and get back in the game. Those days are over," he told the newspaper. Tax arguments that the IRS will not accept. Fines for frivolous tax returns. Americans have tried many arguments claiming not to be responsible for complying with the tax laws or subject to them. The IRS recently published its annual Truth About Frivolous Tax Arguments report, which discusses both the most popular arguments people have made over the years to avoid paying their taxes, but also the policy statements and inevitable tax court decisions the government has used to refute them. "Anyone who contemplates arguing on legal grounds against paying their fair share of taxes should first read the 84-page document," the IRS said in a statement. Click link to read full report. Given the number of people who were filing frivolous returns claiming reasons not to be subject to the tax code in 2006, Congress increased the penalty for frivolous tax returns to $5,000 from $500. Filers typically present tax forms that show zero income or tax liability. Their reasons for not paying usually come up in tax court when the filers try to contest an audit or lien. The arguments below are now considered frivolous by definition as they have repeatedly been heard and decided in the same manner. Tax filer argument: refusal to pay income taxes on religious or moral grounds. The Supreme Court has frequently asserted that saying your religious beliefs are in conflict with the payment of taxes provides no basis for refusing to pay, though. Tax filer argument: Paying taxes violates the Fifth Amendment. The Fifth Amendment to the Constitution says a person shall not be "deprived of life, liberty, or property, without due process of law." The Supreme Court however stated in Brushaber v. Union Pacific R.R., 240 U.S. 1, 24 (1916), that "it is ... well settled that [the Fifth Amendment] is not a limitation upon the taxing power conferred upon Congress by the Constitution." Tax filer argument: Taxes are a form of servitude in violation of the 13th Amendment. Courts have repeatedly ruled that paying taxes is not considered forced servitude, calling the argument "clearly unsubstantial and without merit," as well as "far-fetched and frivolous." Source: Yahoo News by Mainstreet. Since there were 7 winners they will each receive a little over $28.97 million then interesting to note they will end up with about $19.13 million after around another third is taken out for taxes. Nice story of Karma as well that while someone cut in front of the winner when they grabbed a Snickers and were about to get the ticket and they did not say anything but just decided to buy whatever the next ticket was and would likely not have won had that not happened. Also good to see that at least outwardly the guy who typically participates with them in buying lottery tickets but was not feeling lucky that day so he did not pay the $2 to join the group had a positive attitude and just said it was not his day, he was happy for them and he was going to move on. What is Tax Freedom Day? 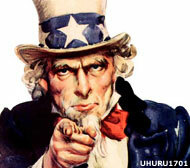 When is tax freedom day in 2011? Tax Freedom Day® is the amount of time that it takes before taxpayer have earned enough money to pay this years tax obligations at the federal, state and local levels. Tax Freedom Day for 2011 in the US will be April 12 meaning it will take nearly 3.5 months of work to pay tax obligations for the year. In addition to less revenue and the tax cuts being extended this year there is also a 2% payroll tax cut this year. Americans will pay more in taxes in 2011 than they will spend on groceries, clothing and shelter combined. The latest-ever Tax Freedom Day was May 1, 2000. Over a three-year period, the tech bubble had driven employment and wages higher and capital gains sky-high. In combination with the higher tax rates that had been enacted in 1993, these factors caused tax collections to soar unpredictably. The Congressional Budget Office kept raising its revenue forecasts, but each year’s revenue was so much higher than predicted that the government ended up with a surplus. All but seven states levy some sort of income tax on top of the federal income tax, and some localities do as well. When these are added to the federal income tax burden, income taxes are projected to amount to an average of 36 days’ worth of work for Americans in 2011. Residents of Mississippi will bear the lowest average tax burden in 2011. Mississippi’s Tax Freedom Day for 2011 March 26. At the other end of the tax burden spectrum are states with comparatively late Tax Freedom Days. The residents of Connecticut will celebrate last, as usual, working until the 122nd day of the year, from January 1 to May 2, before earning enough to pay all their taxes. The Florida tax freedom date is April 11 1 day prior to the national average. They rank 16th for earliest dates although they are just one of just 7 states without a personal income tax. What is Common Law Marriage? What states allow it? A common law marriage is one in which the couple who hold themselves out as a husband and wife can be considered married despite lacking the marriage license or ceremony. Florida does recognize common law marriages that validly occured in other states however just as it is a separate property jurisdiction but will recognize community property aquired in the 9 states that follow community property. Unless all four are true, there is no common law marriage. When a common law marriage exists, the couple must go through a formal divorce to end the relationship. The most recent publicized case of common law marriage is in the probate of Gary Coleman in Utah where his ex wife who divorced him but remained living in his home with him claimed they were common law spouses and that the will was done prior to them getting essentially remarried as a result in which case she would be a pre termitted spouse and entitled to the entire estate since he had no children. Jon Stewart responds to reports of GE paying no taxes despite billions in profits. Probate Attorney Blog recently reported how GE despite making tens of billions the past couple years has paid no taxes and even received money back by using tax loopholes, keeping earnings over seas and using losses from when they were bailed out by the government during the financial collapse. This probate blog is intended to entertain as well as inform so here is a link to an amusing / interesting segment about the subject from commedian Jon Stewart. Click here. Liz Taylor intellectual property rights & after death estate income reportedly already being disputed. The Probate Attorney Blog previously discussed the approximate value of the Elizabeth Taylor estate being around $600 million to a billion dollars and there may need to be some probate or trust litigation involving Elizabeth Taylor given that she was married 8 times and had children from multiple different husbands as well as being a very charitable person. Rob Shutter of entertainment site popeater reported that friends and those who were close to Elizabeth Taylor indicate that trust and estate disputes have already arisen. Although the probate or trust litigation if there is any or any will contest or trust challenge would be based not on the $600-1Billion that she has already made but on the rights to her image and future profits. Her approximately $150 million in jewelry is reportedly going to be to be auctioned off by Christie's and the proceeds given to the Elizabeth Taylor AIDS Foundation and amfAR an aids charity she co founded in 1985 although no word yet whether any of the children or grand child will receive any of the jewelry. "Elizabeth also made arrangements to split the rest of her fortune between her four children and other charities that she cared so much about," a close friend of the star's said. "But what is causing all the problems is not the money she made during her life, but rather what should happen to the millions she is going to make after her death." Beauty product giant Elizabeth Arden has already said they'll keep selling her still-popular fragrances which made $77 million in 2010 alone and there are numerous other opportunities, like film re-releases and merchandising that the estate could profit significantly from. The entertainment reporter relayed a source with knowledge of the situation said "The one thing she didn't do was understand that, much like Elvis and Michael Jackson, she might be worth more in death. "This is what has already started to cause friction between family, business managers and the many charities that meant so much to Elizabeth." The two-time Oscar winner has been worth a lot of money for decades. In 1996, when she divorced her last husband, Larry Fortensky, documents showed her net worth was $608.4 million. The New York Post reported that during the 1990s, Taylor earned about $2 per second, or about $63 million per year. Her perfume, White Diamonds, has never stopped selling. It is a shame to hear that the fighting and prospect of potentially having some probate and trust litigation regarding the rights to her image and future profits is already being discussed within a week of her death. This was a big issue with the estate of Martin Luther King the children had many disputes and costly litigation regarding various options. An article view by clicking here discusses the litigation they went through also involving the intelectual property issues and after death money of their icon father. In a letter to President Obama this week, 32 Republican and 32 Democratic Senators proposed a budget summit to implement "comprehensive deficit reduction measures." Senators Michael Bennet (D-CO) and Mike Johanns (R-NE) were the leaders of the bipartisan group. The letter noted that the Presidential Fiscal Commission had provided "an important foundation to achieve meaningful progress" on deficit reduction. Six senators (three Democratic and three Republican) have been working to develop an actual bill that would implement the recommendations of the Fiscal Commission. The group of 64 senators now recommends that the President develop a comprehensive package that will attack the budget deficit. The comprehensive bill would include "discretionary spending cuts, entitlement changes and tax reform." In the view of the bipartisan group of senators, a joint effort "would send a powerful message to Americans that Washington can work together" on deficit reduction. In a speech on March 21, Majority Leader Eric Cantor (R-VA) proposed both a reduction in the corporate tax rates and repatriation of corporate overseas funds at favorable rates. Leader Cantor notes that the American corporate tax rates are "50% higher than even those in Europe." In his view, the international competition by multi-national companies has encouraged most European countries to reduce their corporate tax rates below those of the U.S. He suggests, "We must make America competitive again by lowering the corporate tax rate to at least 25%." This would help to get companies like GE to keep more profits in the US and pay some taxes. The proposed corporate tax rate would be accompanied by comprehensive tax reform. In addition, Leader Cantor notes that there is "almost $1.2 trillion in overseas profits" that American companies are not returning to America due to the tax rate. He proposes that these funds be allowed to return to America at a lower tax rate. Source: Washington Hotline March 2011 4th week. GE Paid no taxes and got money back despite Billions in profit. The top tax bracket for U.S. corporations stands at 35 percent, one of the highest rates in the world. General Electric however paid nothing in federal taxes last year even as it made billions in profit. "Simplify, eliminate loopholes, treat everybody fairly," Obama said in February. For those unaccustomed to the loopholes and shelters of the corporate tax code, GE's success at avoiding taxes is nothing short of extraordinary. The company, led by Immelt, earned $14.2 billion in profits in 2010, but it paid not a penny in taxes because the bulk of those profits, some $9 billion, were offshore. In fact, GE got a $3.2 billion tax benefit. "Two things are disconcerting. One is, there's disproportionate amount of profits being reported offshore. And then, even for the profits that are reported onshore, they're paying less than 35 percent," said Martin Sullivan, a contributing editor for Tax Analysts. 2010 was the second year in a row that GE recorded billions in profits and paid no taxes. The company claims that its zero-dollar tax bill is largely a result of losses at its financial arm, GE Capital, due to the Wall Street meltdown. In 1983 Billionaire Leona Helmsley said "only the little people pay taxes". While she went to jail for tax evasion that comment and GE has acted within the tax code this comes to mind that a massive company like GE can avoid paying a cent and in fact get money back despite making billions of dollars. Its extraordinary success is based on an aggressive strategy that mixes fierce lobbying for tax breaks and innovative accounting that enables it to concentrate its profits offshore. G.E. 's giant tax department, led by a bow-tied former Treasury official named John Samuels, is often referred to as the world's best tax law firm. Indeed, the company's slogan "Imagination at Work" fits this department well. The team includes former officials not just from the Treasury, but also from the I.R.S. and virtually all the tax-writing committees in Congress. While the financial crisis led G.E. to post a loss in the United States in 2009, regulatory filings show that in the last five years, G.E. has accumulated $26 billion in American profits, and received a net tax benefit from the I.R.S. of $4.1 billion. Michael Jackson's estate settles with probate creditor re Las Vegas home. Probate cases allow for creditor claims to be either paid, denied or settled. If there are sufficient assets in the estate and the claim is not disputed and a claim is filed within the statutory time frames after publication of notice to creditors or actual service on the creditors. If it is fully disputed as not legit or not recognized for the amount claimed the personal representative can indicate what if any portion of the claim they do not recognize. The creditor then must either abandon the claim or bring an independent action - a lawsuit to enforce the claim. From there the parties can agree on a settlement of the claim and how much will be considered owed or pursue estate litigation in the probate court. A homeowner filed a claim against the Michael Jackson estate stating that he had done $234,000 worth of damage to a Las Vegas home then had filed a lawsuit to pursue the claim but the estate and homeowner agreed to an undisclosed settlement. It is merely the latest issue in what has seen a large number of creditor claims and probate litigation. The US government is projecting a slight cost-of-living adjustment for Social Security benefits next year, the first increase since 2009. But for most beneficiaries, increasing Medicare premiums threaten to eliminate any increase in payments, leaving them without a raise for a third straight year. About 45 million people -- one in seven in the country -- receive both Medicare and Social Security. By law, beneficiaries have their Medicare Part B premiums, which cover doctor visits, deducted from their Social Security payments each month. Source : Stephen Ohlemacher AP Medicare rise could mean no social security cost of living adjustment. Yesterday Probate Attorney Blog.com reported of the man trying to fund his retirement and pay for his elderly mom's care by selling a 212 area code for a lot of money others also had creative thinking for how to grow their estate and successsfully sold the naming rights to their band which has not even been signed to a label yet. A Seattle group will be known as BuyStock.net Band the website liked the marketing opportunity for their company website and while the name is not catching it will help fund the launch of their group. Fraternal Twins born minutes apart contrasting colors - 1 in a million video of family shown. As Aol Video reports Gabe Cunningham was born with blonde hair and blue eyes while his brother born minutes later is a light skinned black child. The frequency that twins significantly vary in color is just one in a million. The Cunningham's father is black there mom is white. The Drs and nurses were surprised. To see the video click here. 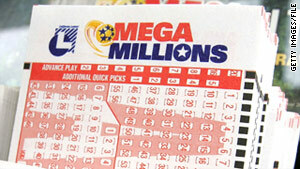 One Winner of the $312 million lottery sold in Albany NY yesterday. As CNN reports one lucky winner in upstate New York chose the right numbers in Friday night's Mega Millions lottery, which has a jackpot of $312 million, the New York Lottery said Saturday. If the winner chose the cash option when buying the ticket, he or she will receive a one-time, lump-sum payment of $198 million. That amount reflects all the cash in the Mega Millions jackpot prize pool. No one has yet come forward to claim the prize, the New York Lottery said. The winner will likely delay as they speak with their CPA, estate planning attorney and start to plan for receiving the millions of dollars like a former Mega Millions winner in Virginia did who took a one time payment of $125 million payout which was $88.9m after taxes which was reported on the blog here. That winner delayed five months to get things in order then continued at their same job as a carpenter. Fortuntately there appears to be no sad stories written about them as is frequently the case where the lottery which should be a great thing turns out to be a curse and changes people's lives for the worse. Jack Whittaker's situation was reported here. After the lottery 400 lawsuits filed against him, the generous gifts to his granddaugter led her to have the money to develop a drug problem and she eventually died, he was robbed several times and had numerous problems after having been "lucky" enough to win $315 million. What assets are included in Florida Probate and which are not? The only assets included in a Florida probate are those owned in the sole name of the decedent without a named beneficiary. Assets that have a transfer on death designation, are owned with right of surivorship, pass by contract such as 401k's or IRAs with named beneficiaries all pass to those individuals. Percentage of homes worth less than the mortgage falling nationally at 22.5%. As Bryan Ellis Real Estate Letter from last month indicates the amount of homes who are underwater those being borrowers who owe more than the home is worth is dropping nationwide and has fallen to just 22.5%. The amount however is higher in some markets that had substantial spikes followed by plunges in values of properties. The top three states include Nevada with 67% of all homes worth less than the mortgages on them while the figure is 49% in Arizona and 46% in Florida. The market is recovering though as some of these buyers exist and it is or soon will be providing some excellent values for people to be re entering those markets. Cleveland Woman Turned 119 today. She is in good health, walking and talking and went to a celebration. The woman only takes a few supplements and no medicines. She is now living with her grandson as she outlived her children. Too see the video of the 119 year old woman from Yahoo News click here. When most people think of investing they think of stocks and other more traditional investments Wayne Gretzky however decided to do some alternative investing. According to a video on AOL today he bought a Honus Wagner T206 card from 1909 for $451,000 from a Sotheby's auction that he called an investment. His father called him an idiot. The investment turned out like Gretzky's career to be a great one. The card thought to be the holy grail of baseball cards as there are just about 60 in existence then sold in 2007 for $2.8 Million dollars. He made a 520% gain on the investment. The card although one in bad shape was recently in the news as well recently when a card that a nun had inherited from her brother and she sold it along with other Catholic nuns Sisters of Notre dame to pay for charitable operations. $220,000 was received for the card after the payment to the auction house despite it being in terrible shape and with virtually any other card could not have been sold but it sort of proved that as with any investment it is a matter of supply and demand. The nun who inherited the Honus Wagner card from her brother would have received a steped up basis in it so for income tax or capital gains purposes its value would be that of date of death and not what it cost her brother. Since she gave it to a charitable organization who sold the card and used for charitable purpose she likely would receive a charitable tax deduction for income tax purposes and also not have to any income tax if the value had gone up from his date of death value. The tax treatment of collectibles is that short-term gains are taxed at the same rate as your regular income. Long-term capital gains have two rates: If you're in the 15 percent tax bracket you pay 15 percent; if you're in a higher bracket, you pay 28 percent. The value of the card is judged just as any other item of property would be what a willing buyer would pay a willing seller but having knowledge of all relevent facts and neither being under compulsion to buy or to sell. Largest Probate Litigation case ever of $12 Billion ends with Nina Wang's will being ruled a forgery. Nina Wang’s former feng shui adviser and lover Tony Chan lost a bid for her $12 billion estate, with Hong Kong’s Court of Appeal dismissing his attempt to overturn an earlier ruling that the fortune should go to charity. The judge described it as a throughouly dishonest case. Chan was arrested on charges of forgery as a result. He says he will appeal to Hong Kong’s highest court, adding a further chapter to the world’s biggest probate litigation. Chan claimed Wang left him her fortune after a 15-year intimate relationship that began when he was hired to help find her kidnapped husband Teddy, with whom she built the Chinachem Group into one of Hong Kong’s biggest closely held developers. She had provided a 2002 will leaving her property to charity but then he presented a 2006 will to the court which purported to give him everything but the court found it to be a forged documents and charged him criminally. He has pledged to file an appeal to the highest court. The 2002 will, which the appeal judges said was indisputably valid, devised the estate to the foundation that she established with her husband,Teddy in 1988. The foundation would award Chinese prizes of worldwide signficance, similar to that of the Nobel Prizes, according to the judgment. The estate dispute described by the Probate Litigation Attorneys as the world's biggest probate dispute was similar to a will contest Nina Wang had with her father in law regarding her husband Teddy's billions and control of the company. Wang had also been arrested during her will contest and probate dispute regarding forgery of her husband's estate for a will she claims he made just prior to the second time he was kidnapped in 1990. The police dropped the charges after the court of Final Appeal ruling. Wang, died in 2007 at 69 with no children. She married Teddy in 1955 at the age of 18. The couple turned a Shanghai paint and chemical business, started by Teddy’s father, into a property developer with extremely valuable properties. The case is between Chinachem Charitable Foundation Limited and Chan Chun Chuen and the Secretary for Justice, CACV62/2010 in the Hong Kong High Court of Appeal. The prior courts opinion can be found here. source Kelvin Wong and Debra Mao Nina Wangs ex lover loses bid for 12 Billion dollar estate. Who Speaks for the dead at Chicago Cemetery as O'hare expansion forces it to close? The Chicago Tribune published an interesting article by Gerry Smith that described an unfortunate process of having to move around 1200 graves at the Bensenville cemetery to make room for expansion of O'hare airport. The remains need to be exhumed and reburried elsewhere, but relatives say the city's effort to find the heirs is secretive and confusing. Alice Ashley has 10 relatives buried at St. Johannes Cemetery, but she doesn't know where all of them will go next. As the city of Chicago relocates about 1,200 graves from the Bensenville cemetery to expand O'Hare International Airport, Ashley was allowed to choose where only two of her ancestors will be reburied, she said. To her frustration, the others will be moved to undisclosed cemeteries, arrangements made by relatives she says she has never met and whom the city, in some cases, won't identify. "If five people claim the same relative, how do they decide?" said Ashley, who lives in Florida. "I guess it is first come, first served. I didn't know it was a race to see who could get there first." In some cases, relatives say, the city is withholding from them the identities of family members who make the relocation plans. Critics say this can spark confusion as well as fear that they will never learn the new location of their ancestors' final resting place. City officials say they have worked with family members and the church to locate next of kin and made every effort to do genealogical searches, including hiring a board-certified genealogist to analyze original German church baptism, marriage and death records dating to the mid-1800s. Complicating matters further is the fact that relatives must also get approval from another agency — the Illinois Department of Public Health issues permits for disinterments, Chicago Department of Aviation spokeswoman Eve Rodriguez said. Before a grave can be moved, relatives must certify with the state that they are the closest next of kin and that other relatives with equal kinship don't object. But the state does not require all living relatives of the dead to be notified or give their approval, according to Rodriguez. She said the city works with only the closest next of kin and does not release that person's name for privacy reasons, although she said the city does give other relatives the name of the replacement cemetery and plans to update its website — stjohnsfamilyassistance.com — with that information once a person has been reburied. This seems problematic that the cemetery has been around and people burried there for 160 years so with going back so far and relatives having no contact with one another they are allowing whoever acts first and says everything is ok to move the individual to whereever they feel appropriate according to the article. In a probate there is a personal representative appointed and they would need to give notice to or get consents from all interested parties that are equally close to the decedent if there was no will naming who was entitled to act. The current process sounds like confusion and family disputes waiting to happen. The Daily Show show video Wheels of misfortune. Tax owed on Prizes. Following up on the prior blog post from the Probate Attorney Blog about prizes not being free and Oprah giving away cars here is a 2004 Daily Show with a comical take on the burden that people had when given a $28k Potiac G6 and had around a $7,000 tax liability needing to either disclaim the car, give to charity, sell the car and pay the tax or keep the car and pay the tax. Click here to see Daily Show video Wheels of Misfortune. 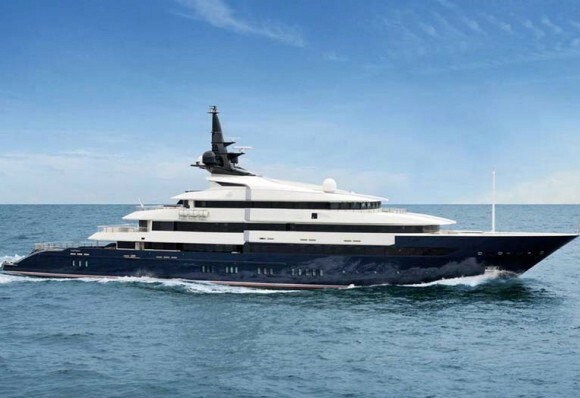 Movie producer,Director and writer, Steven Spielberg has bought a Megayacht named the Seven Seas (pictured above), a 282-footer fitted with every imaginable luxury. Its has an infinity pool with a 15-ft. glass wall that doubles as a cinema screen so Spielberg and his guests can view movies while swimming or lounging poolside. The Seven Seas has accommodation and luxury amenities for 12 guests along with a crew of 26, including a private owner's deck centered on a large master stateroom with a study and private deck area with a Jacuzzi. Other luxury touches include a helipad, fully equipped gymnasium, a spa and massage room and another, indoor cinema. Special stability systems allow the yacht to travel smoothly in any weather at 20 knots so the director doesn't have a bumpy ride while viewing his latest movie.